Rockywoods carries a large variety and inventory of buckles, rings, triglides, ladderlocks and other hardware in tactical colors. Nexus Looplocs are ideal for holding straps or webbing where no adjustment is needed. Fits 25 mm (1 inch) webbing. Sold Per Each. Duty and VAT included. ITW Nexus D-Rings are perfect wherever a sturdy attachment point is required. Unlike metal D-Rings, they won't rust or corrode. Strong, light and attractive. Sold Per Each. Duties and Taxes Included. Nexus Tri-glide™ rings provide length adjustment on strap or webbing assemblies. They grip webbing securely and are a good means of securely loose webbing. Fits 25 mm (1 inch) webbing. Nexus Looplocs are ideal for holding straps or webbing where no adjustment is needed. Fits 50mm (2 inch) webbing. Use with 25 mm (1 inch) webbing. Fits 38 mm (1.5 inch) webbing. While these buckles are not rated for mountain climbing or overhead loads, they are plenty tough. Metal slider with double pulls for #5 Coil YKK® Zipper. The pull-tab does not lock at any position on the body. Non-locking mechanism. Used to allow for the quick, single handed release of webbing straps. Used on everything from luggage to backpacks. Order the same size as your webbing width. The ITW Nexus Sternum slide stays in place by using two perpendicular straps. Generally used to adjust sternum straps on backpacks and Molle gear. Use for 25 mm (1 inch) webbing. Fits 50 mm (2inch) webbing. A commercial version of Type III military spec parachute cord. Contains 7 inner strands with a woven outer sleeve. Great for camping, tie-downs, emergency & survival uses. Metal slider with double pulls for #8 Coil YKK® Zipper. The pull-tab does not lock at any position on the body. Non-locking mechanism. Use with or to repair a #8 Coil YKK® Zipper-by-the-Meter zipper. Often found as a sleeping bag zipper. You can adjust the webbing from either side on these buckles. 25 mm (1 inch) Nexus GT SurMount Side Release Buckle. A new series of Side Release Buckles to assist in securing a flap or pocket. 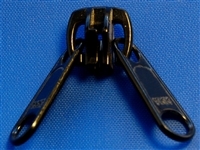 These are ITW Nexus 38mm (1-½ inch) split bar side release buckles, also known as a field replaceable buckle. The GhillieTEX™ 38mm Reducer was designed to meet the needs of OEMs and end users that desire webbing connections from 25 to 38mm with high tensile strength. Sold Per Each. Duties and VAT Included.